You only have six months before you’re taken away from everything you’ve ever known. Forever. Would you accept your fate, or fight against it? Niki woke up after a hundred years of slumber in the arms of Cole in Everneath. Being with him and at his side felt right, but her mind tells her that she’s supposed to be with someone else, and that someone is Jack, her boyfriend in the human world. That’s all that took for her to turn her back on Cole and everything that he offered her and goes back to her normal life. When she got back, it turned out that she was only gone in the human world for six months, and now, she also only has six months before she’s taken by the tunnel—or the Everneath’s version of hell. The cover was the first one that lured me into this book, and after reading the summary, I only wanted to read it more. And now that I finally did, it was really worth it! The book was really awesome! The plot is unique with the re-telling of the story of Hades/Persephone and Orpheus/Eurydice with its own twists. The characters are very likeable and I can easily relate to them. Nikki has been struggling a lot when she came back after disappearing for six months. A lot has happened, and a lot has changed. I love her character. She’s strong and dependent, and she’s been trying her best not to hurt the people she cares for the most again. Especially Jack. I also love Jack! He was broken after Nikki’s disappearance, and when she showed up again, you can still feel how much he still loves and cares for her. He’s like every girl’s dream. He’s strong and protective when it comes to Nikki. Although Cole may seem like the “bad guy” here, I still liked him. He is wicked, and at the same time very sympathetic. I actually cried because of one chapter here. It really broke my heart, and hopefully, book 2 will be able to put back the pieces. 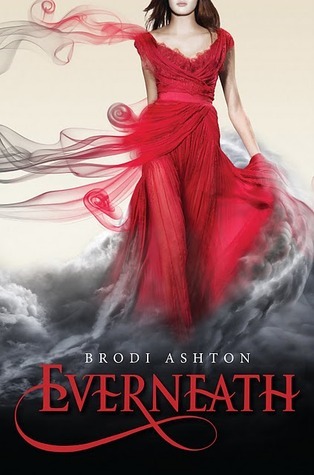 Everneath is a fast and light read. The plot and the characters are compelling, and you’ll surely look forward for the next book. I give this book 4.5 whales. Awesome review! I can't wait to read this book!